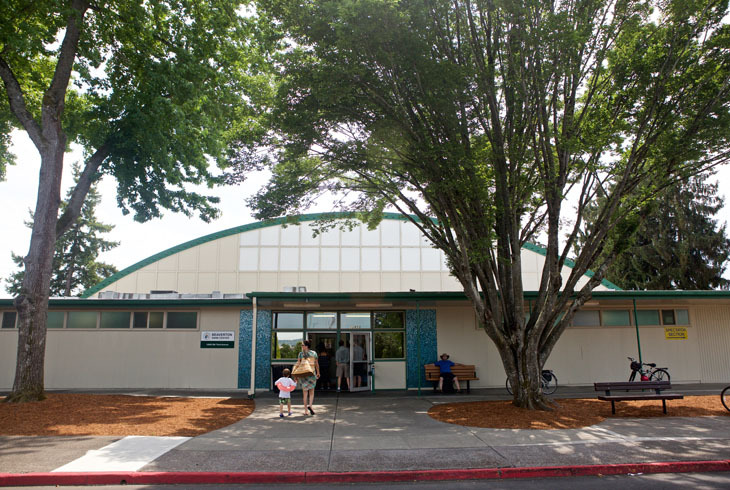 Beaverton Swim Center is located just south of TV Hwy., adjacent to Beaverton High School. The 25-yard "L"-shaped pool offers all levels of swim instruction, open swim, and lap swim daily. We are proud to offer an Adaptive Aquatics program, providing swim lessons for people with special needs, who are unable to participate in group lessons. Beaverton Swim Center is an L-shaped 25-yard indoor pool offering all levels of swim instruction, open swim, and lap swim. We also have fitness classes and diving lessons. 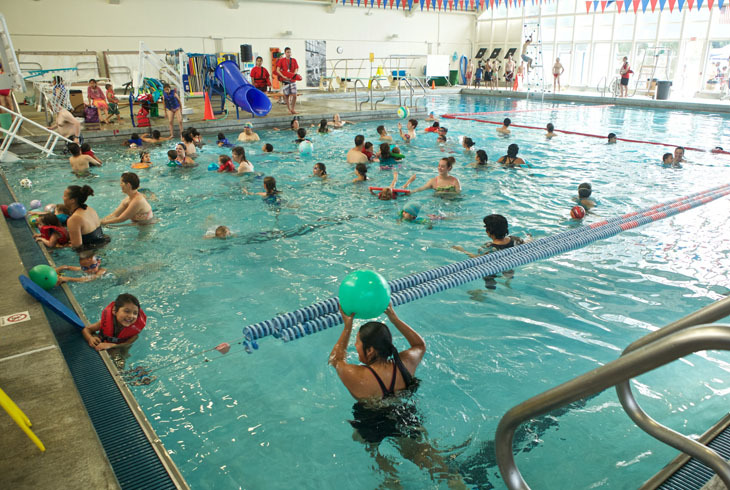 Our facility offers Adaptive Aquatics lessons designed for individuals 3 years and older with developmental, cognitive, and physical disabilities. They are one-on-one so the classes can be personalized for the needs of the participant. Come in and join Beaverton Swim Center during scheduled open swim times for free EVERY THIRD FRIDAY! Every year in May, we celebrate National Water Safety Month by offering information about water safety to the public. This year, we are having a Water Safety Fair on Friday, May 3 from 6-9pm. We will have representatives from Tualatin Valley Fire & Rescue, the Humane Society, the US Army Corps of Engineers, and the Oregon State Marine Board. Come join Beaverton Swim Center for our first family fun day activity. Enjoy pool games, crafts, food, ad other activities. $6 per child and adults are free. Are you ready for a challenge this summer? The Aquatic Warrior Challenge is a new event that will test your strength and endurance with various events in the water. Participants will compete with others in their age group by entering all of the events or choosing to try only a couple. There will be prizes for the winners of each event in each age group. After the individual events are done, there will be a chance to run the whole course for fastest time, for those who think they are "warrior" enough. This is a registered event for ages 8 and up. It is the ultimate battle of balance and wit. To sink your opponent off their paddleboard before they sink you! Standing on a paddleboard and using a squirt gun, participants spray each other with water to sink each other into the water. Lifejackets are required. Battles will be in rounds until only one person is left standing. 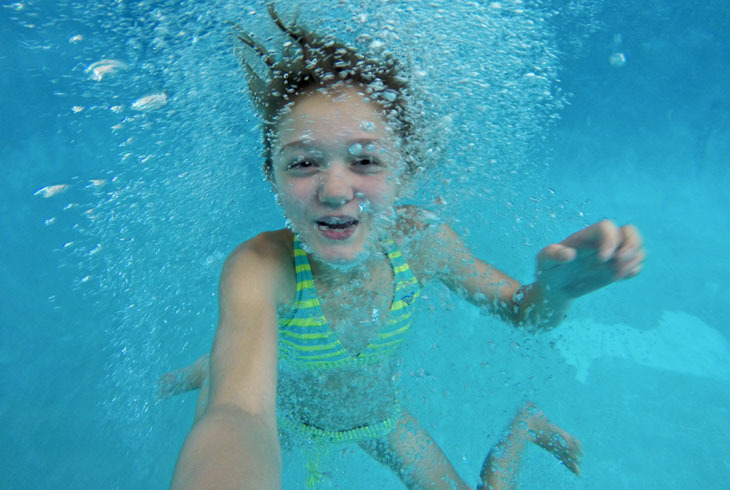 Celebrate National Water Safety Month by volunteering! This event offers information about water safety, including water rescue demonstrations, boating tips and life jacket fittings. Volunteers will help with set up, booths assistance and tear down.